The best way to find out if a fuse has blown is to use a volt-ohm meter. They are relatively inexpensive and come in two types, analog and digital. Analog volt-ohm meters have a needle that moves from left to right. Digital volt-ohm meters use an LCD readout display. 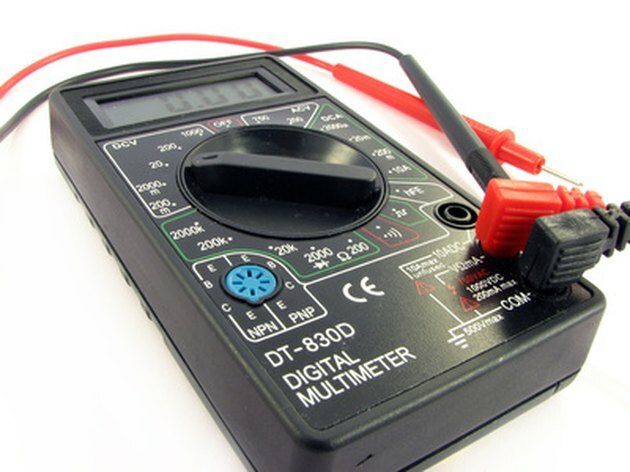 Before using your volt-ohm meter you should be familiar with its functions, as per manufacturer instructions. Volt-ohm meters are easy to use. Always make sure there is no power going to the fuse you wish to test. If it is an appliance, make sure it is unplugged before you go further. 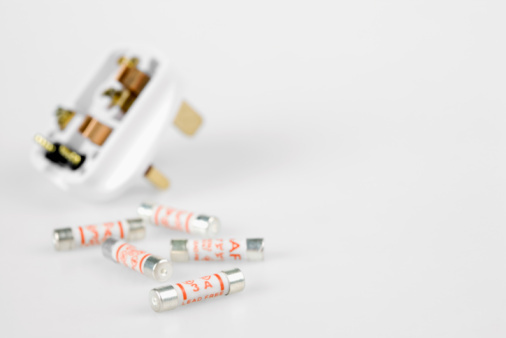 If it's a fuse in your home wiring, it's safer to turn the power off in case there is a short in the fuse box. Blown fuses mean something has gone wrong, and caution is warranted. Remove the fuse, using your fuse puller. If the fuse is a screw-in type, simply unscrew the fuse. Place the fuse on a table with good lighting. Plug in the red and white wires to your volt-ohm meter as per manufacturers instructions, and set the volt-ohm meter to continuity or ohms, depending on manufacturer guidelines. Touch the end probes of the wires together and look at the reading on the volt-ohm meter. (Do not touch the metal parts of the probe with your fingers, as your body will conduct the electricity, which can give a false reading). The needle on your analog display should give a reading of zero. A digital display will display the continuity symbol, or "0.00" . Some will beep when continuity is achieved. Once you know your tester is working properly you can test the fuse. Touch the red probe to one end cap of a tubular fuse. Touch the other end cap of the fuse with the black probe. Check your mete. If the needle does not point to zero (analog) or show "OL" (over limit) on a digital unit, then the fuse is blown. Test a screw-in fuse by touching the red probe to the center contact at the bottom of the fuse and the black probe to the screw section of the fuse. Check your meter for continuity using the guidelines above. Touch the red probe to one of tab on a car fuse and the black probe to the other tab and check the reading on the meter for continuity.